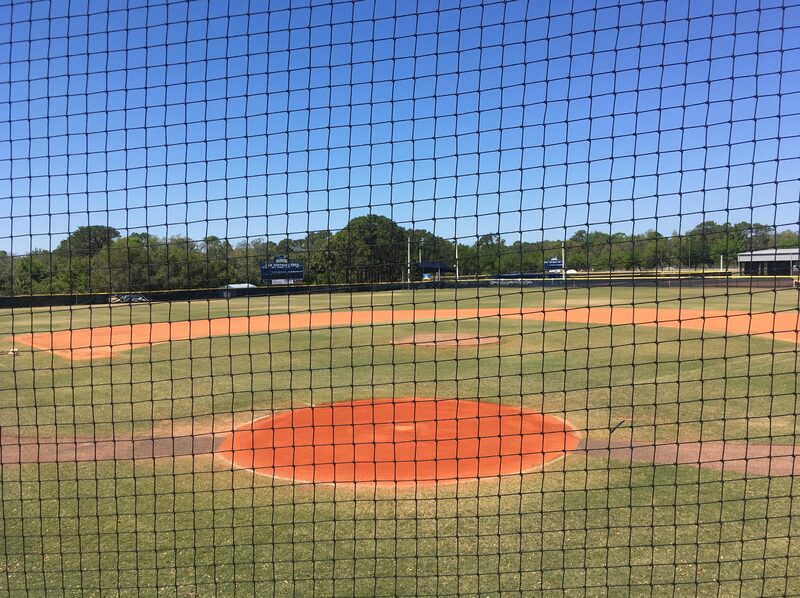 More than half way through the season, the Raiders baseball team finds itself with a record of 18-18 overall and 1-8 in the conference, 13 of those wins coming on their home field. It seems as if this is becoming a tradition for Seminole State; winning games at home and struggling on the road. The team has an impressive 13-8 record when playing at Jack Pantelias Field, but is just 5-10 on the road. The team last year had similar problems. The 2017 Raiders ended the regular season with an even record of 25-25. They finished 19-12 in home games compared to a 6-13 record when playing outside of Sanford. The Raiders have won five of their last seven games. In the first game of a double-header March 17, pitcher Zak Wilson threw a perfect game in an 11-0 victory over Morton College. Wilson recorded 11 strikeouts in the game. The Raiders slow start in conference play makes the end of the regular season even more decisive. The rest of their schedule consists of conference games. The baseball team started off its conference games at home on March 3 against St. Johns River State College. A 6-1 loss began the Raiders rough start in conference play. Getting swept by St. Johns River State College and the College of Central Florida left the Raiders at 0-6 in conference game this season. The team gave up 55 runs in those two series. The men will face a three-game series against Santa Fe College this week. Santa Fe is recognized as one of the best teams in the country as they were ranked 7 in the NJCAA poll for the week of 3/19. They were ranked first in the previous week’s poll. It has been a historic season for the Raiders softball team. Aside from its 36-7 overall record, pitcher Kyra Gipson threw the program’s first perfect game and head coach Courtney Miller won her 1,000 game as a head coach. Coach Miller captured her 1,000 win on March 17 after the Raiders beat Lake Sumter State College in a double header (see separate story, this page). Gipson threw Seminole State’s first perfect game on March 2 against Miami Dade College. Gipson struck out 6 of the 21 batters she faced in the 7-inning game. Raider shortstop, Meghan Sexton, was awarded NJCAA D1 Player of the Week for week 5 of the season (February 19-25). The sophomore hit for a .684 average with six extra base hits and scored 11 runs during six games, leading the Raiders to a 6-0 week. The Raiders are currently ranked 12 in the country in the latest poll released by NJCAA (week of 3/19). Despite a 8-2 record in conference play, Seminole State remains in second place in the Mid-Florida Conference. They are behind College of Central Florida are ranked 10 in the country. The Raiders split their double header against College of Central Florida at home on March 15. Seminole State was shutout the first game in a 2-0 loss but won the second game after a high scoring 11-10 game. They will meet one more time this season in a double header on April 5 in Ocala. The team immediately went on another winning streak, but did drop the second game of a doubleheader to Daytona State College, 5-3, on March 24. The Raiders have all conference games left on their schedule. The Seminole State College Softball team handed head coach Courtney Miller her 999th and 1000th career victories when they took a doubleheader from visiting Lake–Sumter State College March 17. Former team members, parents and fans congratulated Miller and signed a commemorative banner after the game. Since then, the team and coach have won three more games. Miller is in her 24th season as the Raider’s head coach, according to a school news release. She started the fast-pitch program in 1995 at Seminole State. She has led the Raiders to a Florida College System Activities Association State title in 2012 and a Mid-Florida Conference title in 2017. She was named the FCSAA Coach of the Year in 2012 and the MFC Coach of the Year in 2017. In 2017, her team set a new College record with 53 wins, breaking the previous record of 51 set in 2015. The Raiders have made 16 consecutive FCSAA State Tournament appearances. Her teams have performed academically throughout Miller’s career with 216 players named to the MFC Academic Team; 129 players earning Academic All-State; 25 players named National Junior College Athletic Association Academic All-American; and 89 players earning National Fastpitch Coaches Association Academic All-American Scholar-Athlete honors. Miller served as the MFC Softball Chair for 22 years and served as the NJCAA All-American representative for two different terms. Follow the Raider Softball team on Twitter and on Facebook at http://www.facebook.com/seminolestatesoftball. Visit SeminoleStateRaiders.com.